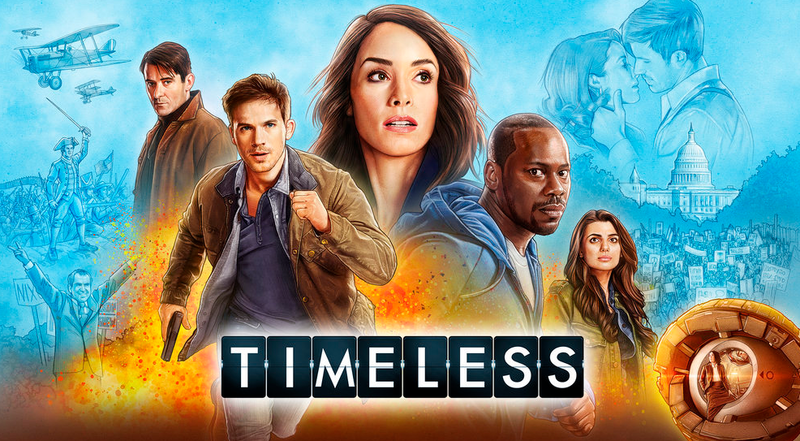 Timeless season 2 episode 8 is entitled “The Day Reagan Was Shot” and in this case, we really do think that the title here is self-explanatory. Not only do you know the time period of this episode, but also the specific date. There are a few other things that may surprise you along the way though, including learning that the target here isn’t actually who you may think. 05/06/2018 (10:00PM – 11:00PM) (Sunday) : The Time Team travels back to 1981 Washington D.C. on the day President Reagan was shot, only to discover that the Sleeper’s target isn’t the President – but a young rookie police office – none other than Agent Christopher (Sakina Jaffrey), who brought the time team together and kept the Lifeboat from getting into Rittenhouse’s hands. The Time Team must save Agent Christopher’s life and prevent her from making a mistake that set her on a different path that would forever change her own future, the future of the team — and the future of the world. What this represents is one of the smartest moves that we’ve seen Rittenhouse make since the start of the season — we don’t like it, but it’s rather ingenuous. Why not do something like go after a member of the time team years in the past? Agent Christopher is, in fact, the smartest possible target just because she is the head of the whole operation. If you are able to eliminate her from the equation, then the entire operation could cease to exist. This is going to be one of the most compelling episodes with that in mind, even more so when you think about how we are nearing the end of the season and there are going to be some stories that really start to ramp up as a result of that. What do you want to see when it comes to Timeless season 2 episode 8? Be sure to share some of your thoughts in the attached comments!